Lot’s of rain but have no fear…. 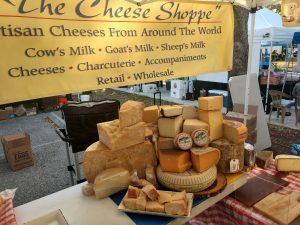 The rain has not dampened our spirits and our new location at the Wine Store on the North side of the the CVS (PGA Blvd and Military Trail) is under the garage so you can come taste some of the finest cheeses without getting wet. We invite you to come see who else is under-cover and enjoy some of the finest foods in Palm Beach Gardens. To all my loyal customers who we have come to know over the last few months, we will be spending our last few Sundays next to the fire station. 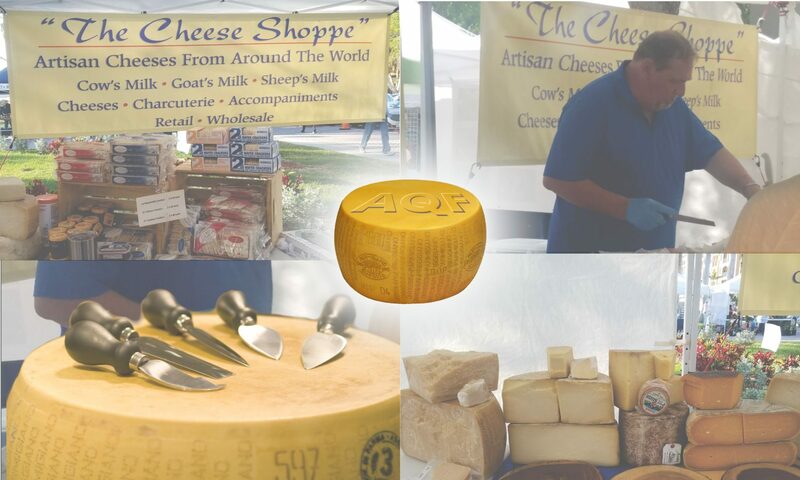 However have no fear, those of you who have come to expect some of the very best in Artisan Cheeses will be happy to hear that we will be a part of the Summer Green Market located at the Self storage Store. We invite you all to come visit us and our fellow vendors for some of the finest food throughout the summer. I hope everybody enjoyed us bringing back fresh mozzarella last Sunday and hopefully you were able to take advantage of our half price sale. This Easter weekend we will have fresh mozzarella for only $7 ( one full pound). We hope you enjoy your savings and wish you a Happy Easter holiday. To all my amazing customers.. do you love fresh mozzarella? This Sunday only, March 25th in the gardens Green Market at The Cheese Shoppe, I am offering one pound fresh mozzarella at half price with any purchase $10 or more. You now can sign up for our subscription at the green markets with your emails. This will let you know about special events, new products and offer you valuable coupons. Great news as we are finally underway and hope that in the following months we can get Artisan Quality Foods online. We look forward to your return visits to see how we are doing. One of the first orders of business will be to get a signup going so that we can keep you posted on what is going on. In the meantime, if you would like to contact us, please use our contact form. Great news… Our signup form is now working. If you would like to join our membership, please fill in the form above. With this information I will be able to keep you up-to date on any exciting news or changes that may be of interest. Of course you are always welcome to check back and see how the site is progressing. I will do my best to keep these posts active. Please bookmark this page and we hope to see you soon.